I was interested to see these backlit displays at O’Hare Airport the other day. At first glance, they looked like video screens, but they were so large I took a closer look. What they turned out to be were very thin backlit displays, run by an LED array that allows the box to be very thin. I’m used to seeing backlit displays that are about 6″ deep, which you need when you have fluorescent lights behind. These are maybe 1-1/2″ thick, which means there much less space taken in the aisle. Less chance of people banging into it too. Backlit displays are a staple of airport advertising, these take them up a notch. Being LED powered, they use less electricity too! 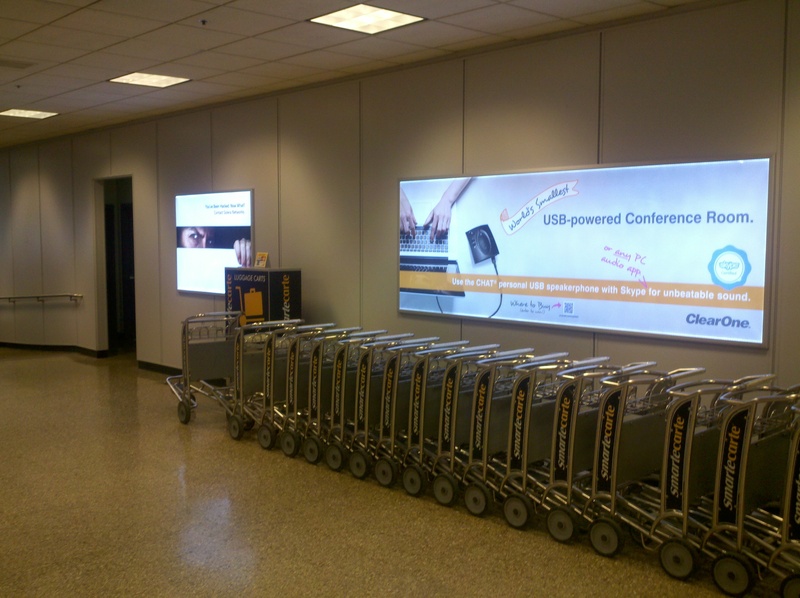 This entry was posted in large format printing and tagged airport advertising, backlit displays, LED lighting. Bookmark the permalink.